This September 27, Warriors Orochi 4 is getting a worldwide release. For the uninitiated, the series is the combination of the long-running “Samurai” and “Dynasty” Warriors series in combination with Eastern Myths. 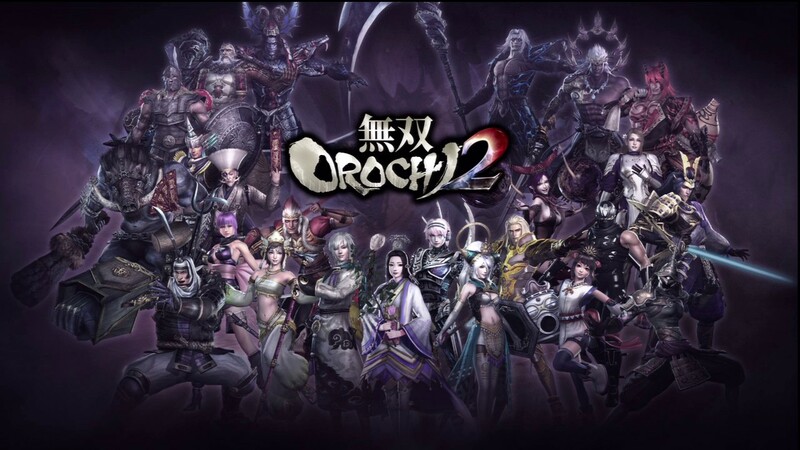 The biggest selling point of the “Orochi” games is the downright massive rosters who use re-used assests from previously game, at the same time they rebalance, tweak and add to the original gameplay to create a unique take on both series. It’s always a big celebration of all things “Warriors” when a new “Warriors Orochi” shows up, so here’s one of the biggest Artlords post ever made to celebrate this massive game! Probably the most throughout mash-up in all gaming, “Warriors Orochi” is a series that knows that quantity is a quality on it’s on. The render and artwork showcased below are for characters who show up exclusively to the series, either as original characters (based in Eastern – And now in the newest entry, Western, Myths) or as crossover characters from other games. The list isn’t even complete! And it’s only one third of what you should expect in Warriors Orochi 4, every other character in the “Samurai Warriors” and “Dynasty Warriors” section in these post will be playable on that game! And we couldn’t even cram every piece of art from those series either, while this is the biggest “Art of” to date. That’s just how massive Warriors Orochi rosters are! The original Warriors game. The latest entry, Dynasty Warriors 9 was quite the disappointment. Still, don’t be fooled! The series is still a titan and a trailblazer for its genre and the characters will be always welcome and important to the full Warriors Orochi experience. The series has eight entries (the first game doesn’t count, folks!) so picking our favorite pieces of art and design was hard. But here’s an attempt! Thanks to the efforts of a parade of artists such as Hayaken, the Samurai Warriors franchise has always had great character artwork. There is so much stuff, we decided to pick our favorites of the bunch. This speaks volumes to just how dense and varied the cast is. Honganji’s Samurai Warrior 1 design. Sadly, this was his only apperance in the franchise. And it’s not playable over Warriors Orochi 4. Oichi’s Samurai Warrior 1 design. Here, she is portrayed as a young kid. Masamune Date’s Samurai Warrior 1 design. In this game, he is much younger. Kunoichi’s Samurai Warrior 1 design. A fictional character. Oichi’s Samurai Warriors 4-II design Her design became much older after the first game. For more Eastern Fantasy, check out this post! For more Action game art – Click here. For more Artlords, just sign up your e-mail on our newsletter.